Here's a cute little idea for you stamp lovers. Make your own...I know, I know, there are some really great kits and supplies to make a more perfect stamp but why not be unique and imperfect and make one yourself by just using a wine cork. 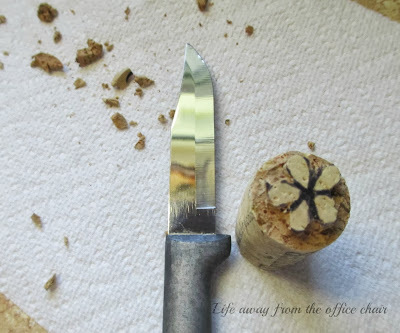 I have actually be collecting corks for a project I plan to make one of these days. 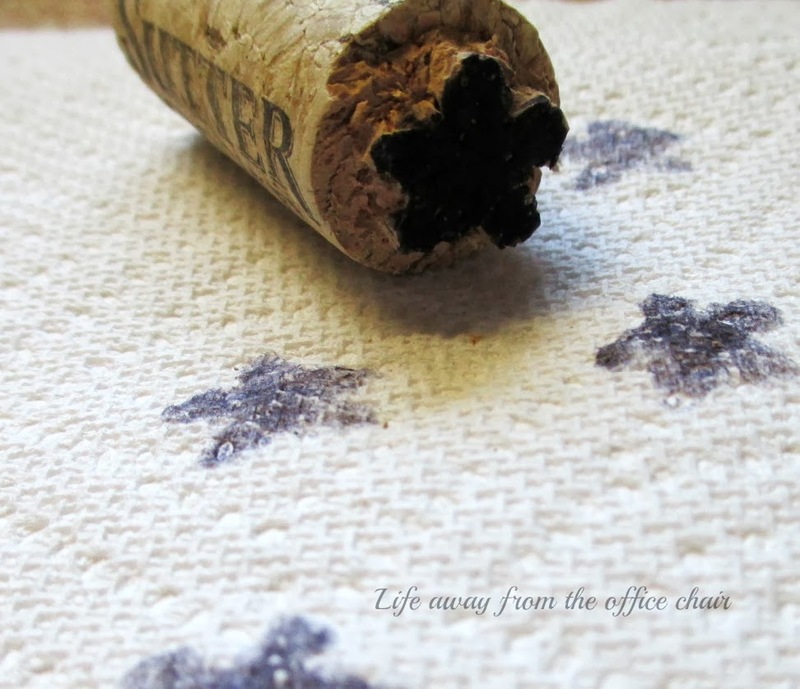 It will take a lot of corks, therefore meaning a lot of drinking, and well, for me, it will take forever to collect enough corks to make what's laying on my mind. But time will tell. I have asked friends to collect them for me in the meantime. I sacrificed one the other night just to try this little project. 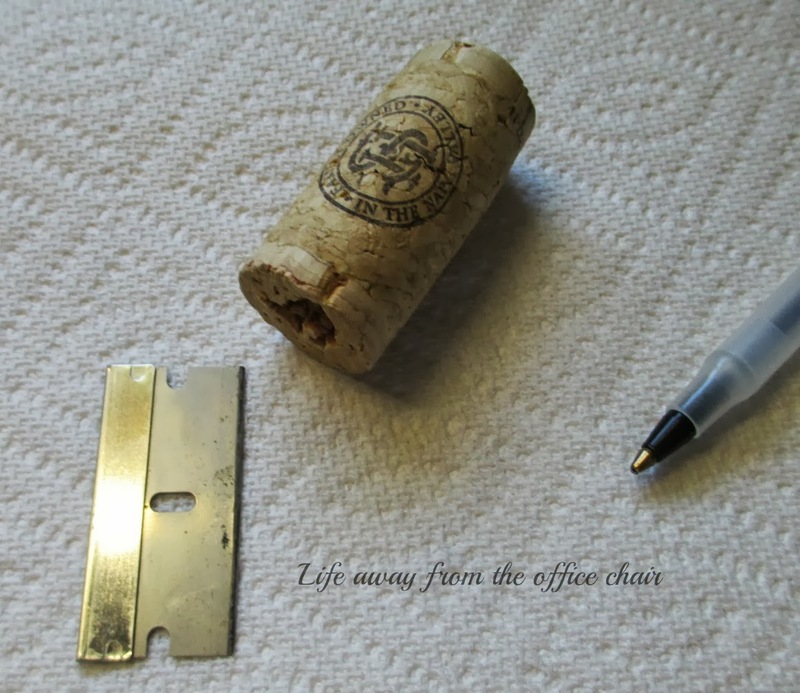 All you need is a cork, pen, razor blade, and ink. finger off with a razor blade so be very careful and don't let your children do this. As a matter of fact, don't let your teenager or spouse do it either. Only you. The creative one. Grab and ink pad and begin stamping. For this one, I actually only used my pen to color and stamp. I cheated. I didnt even take the time to grab paper. I was so excited I just used a paper towel. Now you have your very own, one of a kind, imperfect little stamp. Now get creative and make you one. Just be a little more creative than I was on this one. The possibilities are endless. oh my goodness, I would have never thought of this! Genius! Thanks for joining us at Marvelous Mondays! Pinned to my Marvelous Mondays board. I've come from Botanic Bleu's blog! Congrats on winning her lovely giveaway. 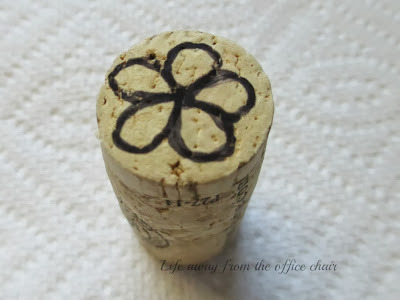 What a bonus visiting you and having this wonderful tutorial for making a cork stamp - I'm going to give it a go. I've got a bowl full of corks - saving to make a cork board but I'll think it will take the rest of my lifetime to get enough! I'll make a few stamps instead - thank you! Such a crafty idea - thanks for sharing. Hopped over from Bloggy Moms. You make that looks so easy. When I was teaching 6th grade history, I had my students make stamps when we studied early India. The people couldn't read and write, so they created stamps to represent themselves and stamped what was theirs. We used old bicycle tubing for the rubber part and chips of wood to mount them. It was a free and easy project for the kids and they loved being able to create a design that represented them.